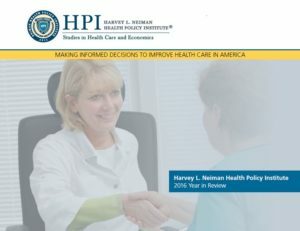 The Harvey L. Neiman Health Policy Institute™ annual report for Fiscal Year (FY) 2016. 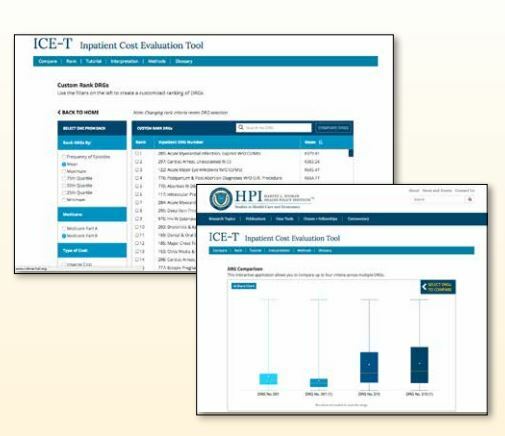 The report highlights several key accomplishments, including the launch of the Inpatient Cost-Evaluation Tool (ICE-T), a Journal of the American College of Radiology (JACR) report on a proposed breast cancer screening bundle and numerous other scientific achievements. Policy Institute over the past calendar year. individual patients or the health care system as a whole. 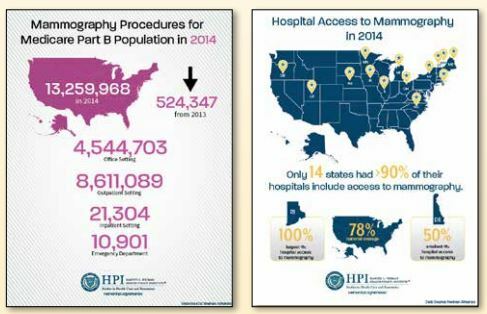 use of health care resources. succeed in CMS’ evolving payment models. 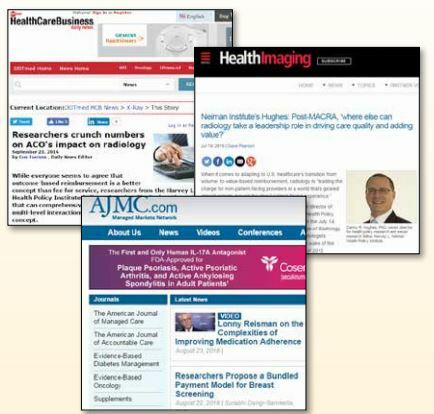 policy-relevant research and tools for the benefit of the radiology community. research was 4.20 in 2015 and 3.74 in 2016.
published in Women’s Health Issues in 2015.
to win this prestigious award. 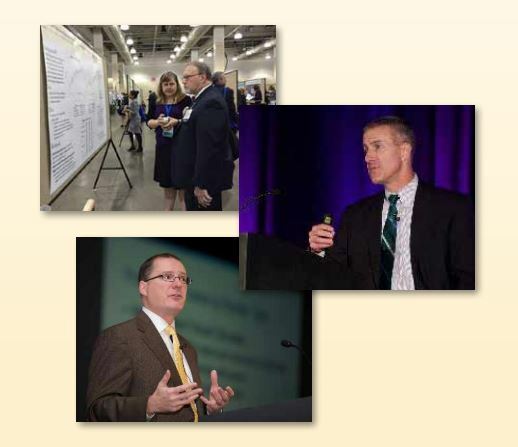 named ACR 2016 Gold Merit Award Abstracts. radiology’s most maligned reimbursement cuts. 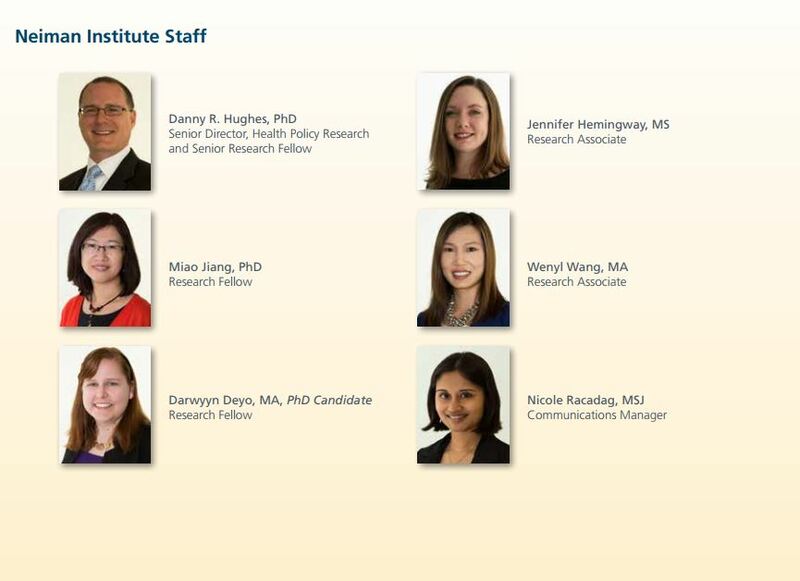 clinician under the Merit-Based Incentive System (MIPS). a practice’s specific patient panel. as a potential episode for meeting MIPS requirements. 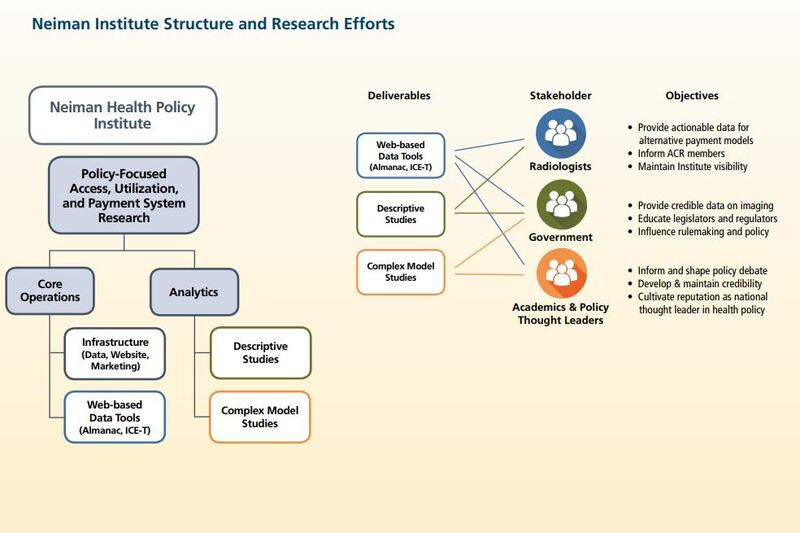 reports, health policy papers and government planning. 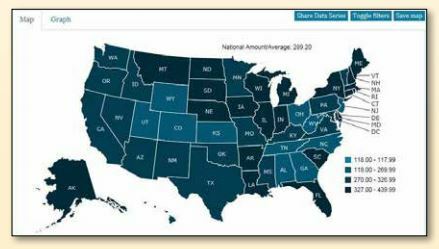 create dynamic tables of both state and national figures on volume, spending, access and workforce of radiology services.